Most authors (or soon-to-be authors) think of themselves purely as creators of old-school books. But as the publishing landscape changes, we have an increasing number of opportunities to use our story-telling skills – including via ebooks. When I say “ebook,” I don’t mean a digital version of your traditionally published book, nor a digital version of your self-published book. I’m talking about the kind of informational ebooks that live only online. 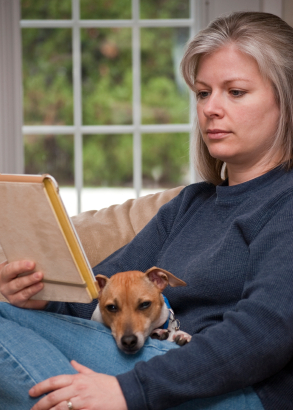 These ebooks are typically shorter than traditional books, and they’re often nonfiction, the self-help variety. You can sell them through Amazon, but many creators (like me) choose to sell them through their own website instead. Before you pooh-pooh this avenue for your writing, recognize that creating ebooks can boost your writing career in ways traditional books can’t. That means if you delve into ebooks at the same time as traditional publishing, the two pursuits can play off each other. Not so shabby, huh? And perhaps the best part is that every time you want to offer your digital product to a blog for review, it costs you nothing. Rather than eating the cost of a physical book, you simply email them the digital file. EBooks also have a higher price point than traditional books. 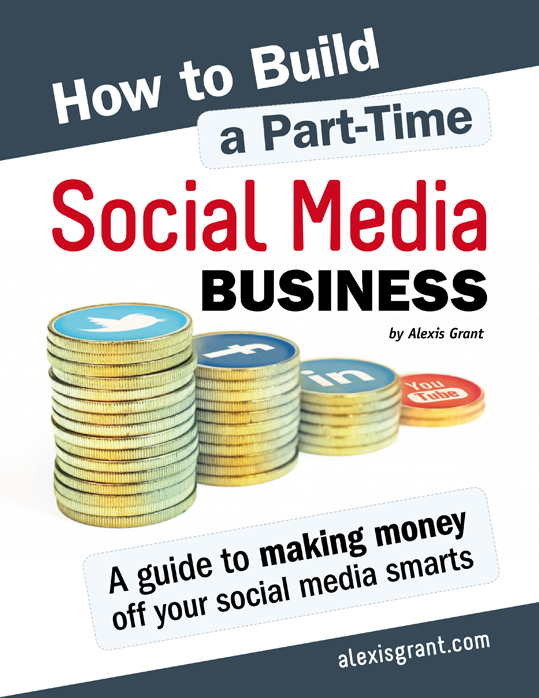 For example, my guide How to Build a Part-Time Social Media Business sells for $24. Since neither a publisher nor a distributor (I’m my own distributor) take a cut, that means $24 in my pocket every time I sell a guide. I’ve sold more than 125 since launching the guide two months ago. If your digital products are related to your overall writing pursuits, they can help you build an audience for your traditional books. Here’s what I mean: My newest guide, How to Take a Career Break to Travel, is directly related to my travel memoir about backpacking solo through Africa (which Rachelle is preparing to pitch to publishers). Essentially, my guide is a complement to my memoir. Yet because I’m publishing the guide myself, I’m able to get it out there before my (hopefully) traditional book. And guess what? The people who read my guide will likely be the same target market for my book. Not only will this help people find out about me (and hopefully subscribe to my newsletter or blog) before my book comes out, I’ve gone so far as to include a note about my upcoming travel memoir inside the guide. In other words, this guide is oh-so-subtle marketing for my memoir. Since I launched my first eguide, traffic to my site has increased dramatically. I’m now at 15,000+ hits/month mark Rachelle mentioned in her recent post about building platform. All of those eyes on my website will help me sell my book to a publisher and sell my traditionally published book to readers. Have you considered wading into ebook territory? If you have questions, I’m happy to answer based on my experience. This entry was posted in Marketing and Promotion, Publishing and tagged Alexis Grant, ebook, publishing, self-publishing by Alexis Grant. Bookmark the permalink. I'm a journalist writing my first book, a travel memoir about backpacking solo through Africa. At The Traveling Writer, I blog about writing, social media and taking leaps in life. Kathleen E Kovach and I plan to release an ebook in honor of the 100th anniversary of the Titanic next April. I’d love to know where you went for editing and cover . . . I’m so excited about our book. Had this great idea, but not enough lead time to shop it and do it traditionally. This option meant the idea could still be birthed for the anniversary. I bartered with a friend for the cover for the career break guide (details here: http://alexisgrant.com/2011/09/26/how-bartering-can-help-your-business/). For the social media consulting guide, I worked with Lisa at http://www.ideastylist.com/ — I’d recommend her, and she also does formatting. Another option for formatting is Doug Mack: http://www.douglasmack.net/ — I haven’t worked with him for this type of project yet, but he’s an author and a great guy who I hope to collaborate with in the future. Feel free to tell any of these great people that I sent you! I am looking to publish my dissertation this way. Give that it will have low interest, this is the only model that makes sense financially. ummm… I don’t think it is wrong for mr dogbert hineplg other people for free. but i don’t think anyone else who ask payment for their skills is wrong too. but threatening other people is definitely out of the questions. ( sorry for bad english )btw mr dogbert, can I ask your email address? thank you. Alexis, this is an excellent article. I’m reposting on Twitter and Facebook, and I want to order your book on social media. Thanks so much for writing this post… because it’s something I’ve been contemplating recently. I am “between books” (a.k.a. my first book is finished and released and I have yet to get another contract) and I’ve been wanting to do something to keep myself busy/writing in the interim but didn’t want to spend a fortune on self-pubbing. This sounds like a great option… especially considering the fact that you spent so, so little doing yours. Erin — I’d highly recommend this route (though check back in with me later today after my second guide launches, ha!). It’s fun and can actually make money if you do it right. Let me know if you decide to go with it! Alexis, wow this is a great post. I’m faaaar behind you in the writing journey, but this is pertinent information for me to consider right now. Thanks so much for sharing what you’re learning! Yes! Great point. Lends itself far better to NF. Alexis, I have published several Bible studies in this way on my website. It has worked wonderfully and helped build my platform. Great article, as well as tips I never thought of. Thanks! I’ve been thinking about the possibility of an e-book for a while now. Thanks for this primer on getting started, Alexis! Great post. I’m taking it seriously – to take steps following your ideas. First: finish my website content so it can be active. Thanks! Great post! What about writers with expertise in several different areas, with no interest in building platform for a niche or focusing on just one topic? I think ebooks are a great way to go if one’s blog also reflects this diversity and the writer has little interest in focusing all his/her time on platform-building on just one subject to the detriment of the others. Again, timely topic and great post! These are great ideas. I’ve always been curious as to how an agent feels about this. Were you repped for your traditional books and did you have a conversation with your agent (and publishing house) about what you were e-publishing? I’m rep’d by Rachelle — She’s preparing to pitch my travel memoir to publishers. And yes, I talked with her about the best route for this. 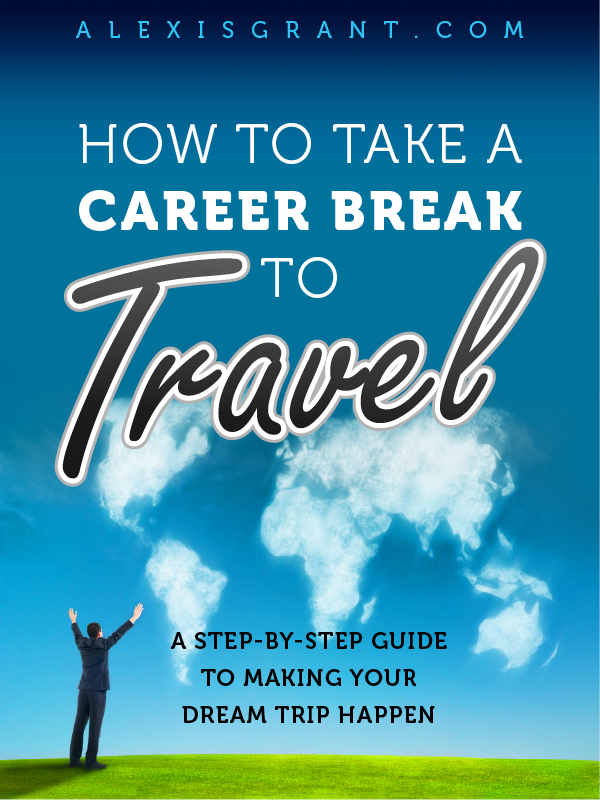 How to Take a Career Break to Travel was originally going to be my second traditional book, but once I started on the eguide path, I realized that was better suited for such a niche topic. I could’ve gone the traditional route, but likely only a small, niche publisher would want it. And since that would be a small advance, and I get to keep all the profits when I pub on my own, I can probably make more money this way. Rachelle and I talked over the pros and cons of both routes, then she left it to me to decide! Thanks for sharing your information, Alexis. Great post! Alexis, Rachelle Gardner just asked me what I felt about the e-book route last week. I wish I had read this post before I answered her. My concern was how to sell the book at conferences and speaking engagements. Your suggestion about making postcards would help. I also wonder if there is a way to sell access codes, such is used for the online section of college textbooks. That way we could complete a “sale” and let the reader walk away with a tangible in their hand. What do you think? Good question! I don’t know the best answer, but I imagine if you did some research, you could figure out what other people do. My dad (he’s full of ideas) suggested setting up a computer or two at my next speaking gig so people could sign on right there and buy it. Could work! Nope … Hadn’t considered this possibility at all. But I am now. Your blog post was most enlightening. Most. Hey commenters! Just a heads up that I’m offering a free webinar about how to create and sell your first ebook: http://alexisgrant.com/webinar-how-to-ebooks/ Join us!